For a peaceful and healthy retreat in Southern California, there is a popular spa within the beautiful Ojai Valley located just 90 minutes north of Los Angeles, CA. An all-inclusive destination spa, The Oaks at Ojai will treat guests to everything they need to find relaxation and wellness such as mountain hiking, aquatic exercises, yoga, and a wide selection of spa services and amenities that are meant to rejuvenate the mind and body. Getting to The Oaks at Ojai is just a matter of making it to downtown Ventura. Travellers will have to start from Road 101 and goi north towards Ojai Avenue past Highway 33. Along the avenue is the Vons Market junction. Take a right turn and follow the road into town. The spa is then just 20 minutes away from downtown Ventura. 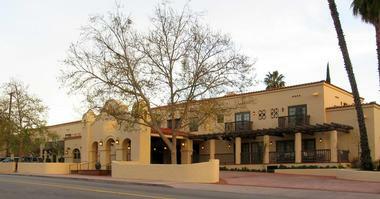 The Oaks at Ojai is located at 122 East Ojai Avenue Ojai, CA 93023. Travellers can also call on the assistance of various shuttle services like SmartShuttle, Ojai Limo, Roadrunner Shuttle, and Amtrak to take them there. As a quaint small town in the middle of beautiful mountains and near Los Paredes National Forest, Ojai is popular as an art community, spiritual sanctuary, and spa destination. It is pedestrian and bike friendly and franchise free. It is a great place for people looking to have a quick, two-night getaway or a longer vacation. You can also plan a day trip for some relaxation and pampering. 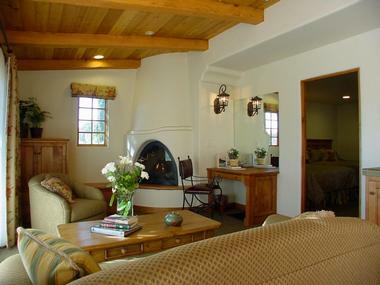 The Oaks at Ojai is an all-inclusive spa with several different types of guest rooms available to visitors. The Standard Twin Double offers two twin beds and a shower, and the rates are calculated per person. It is the most affordable of all the accommodations, and the rooms are located on the 2nd floor of the main building. The room is quite cosy with its 175 sq. ft. area. In the case of individual guests, the hotel can arrange for them to have an assigned roommate. Some Standard Twin Double rooms have balcony access or views, but some do not. For guests who want to travel alone and don’t want to share their room with another guest, they can opt for the Standard Private, which is designed to accommodate one person. It comes with one double bed and a bathroom with a shower. The total area of each of the rooms is 208 sq. ft., and they are all found on the 2nd floor of the main building. For more space, guests can opt for the Large Private Room, which offers more luxury in a wider space of 288 sq. ft. It comes with a queen bed, a desk, a chair, and a bathroom with a shower and tub. These rooms are on the first and second floors. The room can accommodate one person. At 240 sq. ft., the Medium Double Lodge is bigger than the standard double twin. It has two double beds, a bathroom with a shower and tub, a desk, and a chair. The lodges are located on the 1st and 2nd floors of the main building. The rooms are designed for two people and are priced per person, but those who are travelling alone can arrange to stay with a roommate. For rooms that are larger than those in the main building, there are the Double Cottage accommodations, which are located by the garden or pool areas. At 340 sq. ft., they are much larger than the abovementioned rooms and come with two queen beds, a bathroom with a shower and tub, a dressing area, two closets, and tables and chairs. The accommodations are meant for two people, but individual travellers can opt to have a roommate assigned to them. Yet another larger accommodation is the Mini Spa Suite with an area of 375 sq. ft. and a 240 sq. ft. patio. The suite comes with either a single king size bed or two queen beds. There is a spa tub in the bathroom and a separately tiled shower. The room has a safe as well as a refrigerator. These suites are located by the garden behind the pool. Of all the accommodation, the most deluxe would be the Double Courtyard Suite. It is found in a private corner just behind the pool and has a private patio entry. It has a living room with a fireplace, a refrigerator, a wet bar, and a large foldout sofa. Guests will find two queen sized beds in the bedroom as well as a bathroom with a spa tub and separately tiled shower and toilet areas. The room also has a safe. This large accommodation measures 610 sq. ft. with an additional 435 sq. ft. for the patio and terrace. Rates for this room are per person, and the room is intended for double occupancy. However, unlike other rooms, these cannot be set up with a roommate. All rates for the accommodations are per person, and vary based on single, double, and triple sharing, except for the Standard Twin and Standard Private rooms, which have no triple sharing. Ojai is known for the many healers and body workers who live there, and many of them work at The Oaks at Ojai, facilitating a number of therapeutic procedures, including: body treatments administered by licensed massage therapists who can help relax and rejuvenate the body and relieve muscle tensions; skin care treatments administered by licensed aestheticians through a series of customized skin care treatments; and pampering salon services. Visitors can request these services separately or through comprehensive packages such as the Head to Toe and Mind, Body Packages. Those who live within Ojai can also get the day spa package, A Day of Pampering, which includes a series of spa and salon treatments, meals, and access to other spa facilities for a day. Upgrading to the Deluxe Day of Pampering will afford guests more benefits like an embroidered Oaks robe and use of a locker. The Oaks at Ojai offers a long list of fitness classes and activities that are all meant to improve one’s cardio, flexibility, and strength. Patrons can enjoy them in combination with other features through a Fitness Day Spa Package, which will include the classes chosen plus a relaxing facial or massage. Finally, guests can consult fitness and wellness coaches for lessons such as: meditation; personal training; Body Composition Analysis; Cadillac, Pilates Reformer, and Mat Sessions; and Life Awareness Coaching. Being all about health and wellness, The Oaks at Ojai will serve only the healthiest options for their meals each day. Experienced chefs prepare the dishes, which are meant to be a reward for the efforts of those who are hoping to pursue a healthier lifestyle. The choices aren’t usually as vast as other restaurants, but that is because they limit the menu to calorie conscious planned selections. The menu will usually consist of three meals featuring fresh, local, and naturally grown fruits and vegetables as well as fish and poultry, all made into homemade salads, soups, and other healthy dishes. 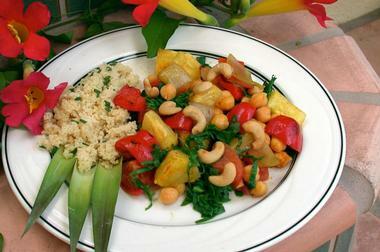 Many of these dishes, in fact, use herbs and other ingredients grown in The Oaks at Ojai’s gardens. The typical menu will have a set for morning, afternoon, and evening. The food choices are then listed with the time they can be ordered and served as well as the corresponding calorie count for each dish. Fruit bowls are also served around the clock when it is not mealtime. Beverages have a separate list, which will be available during all meals. Alternatively, guests can order these drink separately at the bar in the Libbey Lounge. To help promote the wellness of their guests even after their stay has ended, the chefs at the Oaks and Ojai maintain a blog containing the recipes of most of the food they serve. They even answer questions about healthy food preparation online. 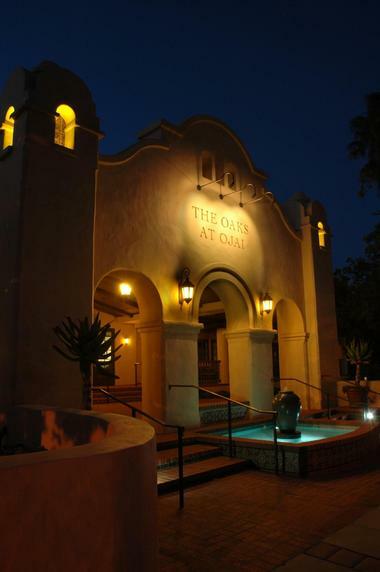 The Oaks at Ojai consistently holds many cultural and artistic events throughout the year. They have a schedule of activities for the year listed on their website so that guests can plan when they need to make reservations if they plan on attending any of these events. Of course, most of the events are also meant to promote wellness and health, but they are mainly intended to be fun for everyone who participates. The establishment offers a number of special discounts such as the birthday discount, which gives 50% off on the first night of a guest who books a stay during his or her birthday month. The mother and son/daughter discount, on the other hand, gives a 40% discount on the program rate for the son or daughter sharing a room with the mother. Finally, there is a wide selection of activities that travelers who want to explore Ojai can take part in activities such as hiking, biking, strolling through art collections, and visiting local Ojai merchants. 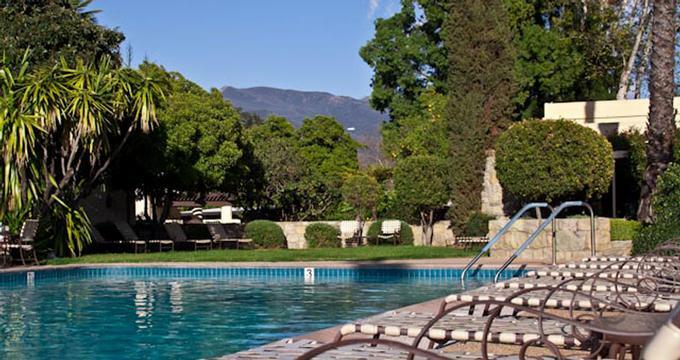 Packages at the Oaks at Ojai start at $240 per person per night with a 2-night minimum stay. The rate includes meals, fitness classes, evening seminars, wifi, parking and tax and service. You may also like: 25 Best Weekend Getaways from San Diego.